I feel like November is flying by. Before the holiday’s come, please check out some of this months reading list of What Your Therapists are Reading. Maybe there is a gift you could be buying a loved one? This month is a range of various books from parenting, staying present, and understanding why men and women are so different! Plus so much more. I hope there was something in this list for you this month of What Your Therapists are Reading. 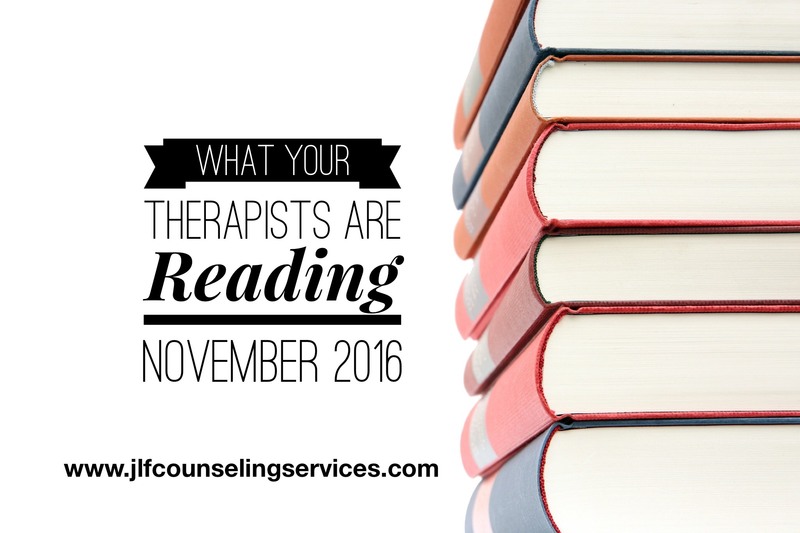 I love doing this post each month and learning about what other therapists are reading. I have found some great reads myself from this list and hope you have as well. As always, you can find past posts: January, February, March, April, May, June, July, August, September, October and 2015.